Our household loves apples. We go apple picking in the fall, we make apple turnovers (and of course, apple pie), and we always have apples on our counter. So it’s probably not a surprise that I’ve found yet another way for us to get our apple fix, apple crisps. 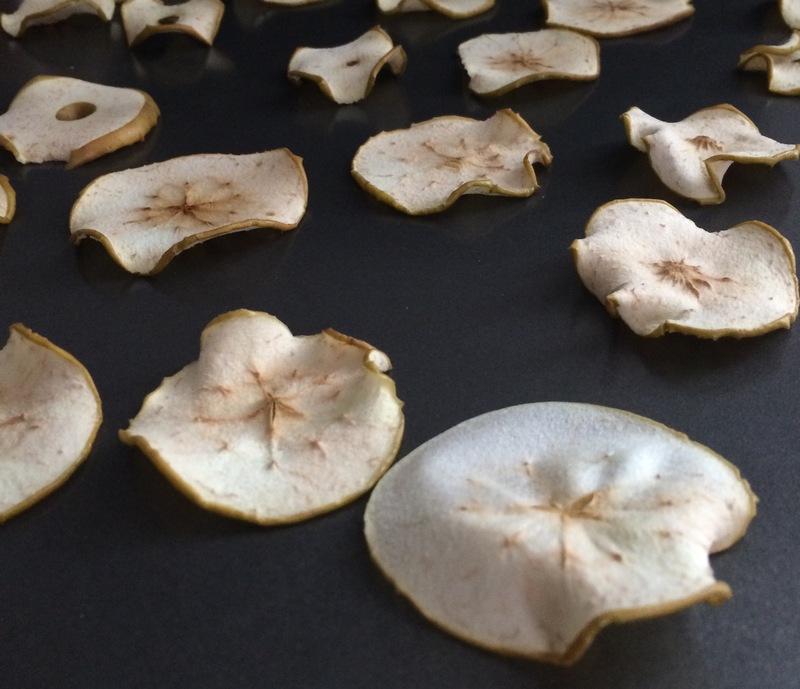 This time, just simply dehydrating them in the oven. I’ll be honest, the first time they needed to be in longer, and were moist and flexible. So the key is to be patient and just let them cook on really low heat for a long time. If you have a dehydrator, well, you’ve got it made in the shade then. Preheat oven to 200 degrees. Remove stems from apples, then using a mandoline slicer on a medium level slice, cut apples. After cut, remove any seed bits that might be stuck in the center of the apples. Most will fall out on its own. Place slices evenly on a cookie sheet and place in oven. Bake for 1 hour. Remove from oven, flip all apple slices, then bake for another hour. Pieces should come out dry. Sprinkle with cinnamon if you like.